Quantum Coherence | A blog about some interesting aspects of science, life, the universe, and everything. By Florian Marquardt. you can search for keywords in their large collection of freely accessible photos and videos. Just look into the column where it says “Narrow by collection” and then click on Videos or Photos in the “Multimedia and Outreach” section, before entering your search keyword. I have just come across a great site. It is for commenting on scientific papers that appear on the arXiv preprint server. This is something I have been discussing in general terms with many colleagues over the past few months. It’s really great (if it takes off) to combine the collective knowledge of all the readers of a paper. It is like collecting all the comments that are made at conferences or over lunch. Of course, if the arXiv were to incorporate this functionality, it would really take off. This is a nonlinear process, and the more comments are generated the more will follow. Since all scientists in the relevant fields have accounts on arXiv with their full names, flame wars and polemics in general can easily be avoided. The discussion would at least be at the level of the typical conference question and answer sessions after a talk. And many little questions (and confusion created by definitions and typos etc.) could be addressed by the authors right away. Dreaming ahead, in the long run, this might even turn into the prevalent model of publishing (without the need for extra peer-reviewed journals). Comments would take the place of peer reviews. To this end, one could then possibly also implement the possibility of submitting anonymous comments, which would be sent out to other registered users for moderation (to prevent polemics and flame wars). And then there’s the whole issue of also ranking the level of experience of commenters (like in physics.stackexchange.com). Virtually all of the colleagues I’ve talked to agree that they would much prefer their paper being refereed and ranked by many of their knowledgeable peers from the community — rather than two somewhat randomly picked referees (I know it’s pretty hard for editors to pick good referees, there are so many topics; I am an editor myself). What makes matters worse currently is that the referee decision, with all its random factors, ultimately is a digital black/white decision that makes your paper get much attention (like in Nature or Physical Review Letters) or much less attention if it’s rejected there. You could choose a subset of your colleagues, and then display the arXiv papers that they have commented on (or rated favourably). In the long-term, this could effectively generate community-run topical journals. These are even dynamically generated and tailored exactly to your needs, since it is you who selects the relevant subset of colleagues. These colleagues in this way become something like editors for that journal addressed to you (and you, in the same way, are effectively selecting articles for others). A simple “like/dislike” or simple rating system would probably be rather counterproductive and likely subject to manipulation. But if the system is more fine-grained, both in terms of rating various aspects of the paper and in terms of keeping track of who did the rating (and how competent they are rated by others! ), it could become useful. Imagine you find that a certain paper is rated very favourably by the ‘general, uneducated public’ (those distant to the topic at hand), but rated very unfavourably by the experts. That would tell you something. Unlike the journals, whose publication decision tries to rank the paper immediately, the comment system could actually push a paper to the forefront even after some years. That would be when at least a few experts realize it is important (or some experiments confirm the predictions) and this is reflected in a few high-profile favourable comments (by the experts), which may trigger further interest and discussion. This is certainly much more reliable than the initial decision by a journal. I have heard the following argument in favour of judging a paper in the traditional peer-review/selective journal style: It gives unknown authors at least a better chance to garner some attention. However, it is fair to say that even the traditional peer-review system has some bias towards the more established authors. Even if you ask me in my role as a referee, I have to confess that if I am skeptical about some part of the paper, I may be more inclined to accept it if it comes from a well-known group with a good track record. So I do not think that this argument really speaks against community peer review. On the contrary, one might hope that if enough interest is generated in the course of a discussion, the more established experts will take a look (what the fuss is all about), and if they then come to a positive conclusion and post that publicly, this will boost the paper very much. I am off for vacations, and then a workshop in South Korea. In the meantime, for your enjoyment I offer a picture of fluctuating fields. I think “Primordial” might be a good title. Fluctuating fields play some role in a significant part of what my group and I are working on, so someday I will come back to this topic more seriously. Here is just a brief list of what I believe to be the most important general ideas in physics (not specific theories, but concepts). For many of those ideas, it took centuries to realize how important they are. Usually the reason is that they are less important in the macroscopic world, i.e. in the phenomena that we observe around us in everyday life. 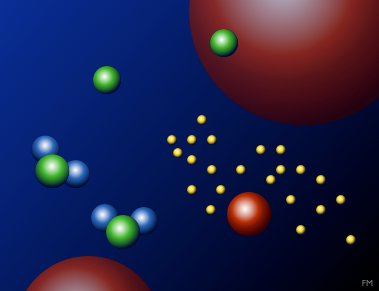 Atoms and particles: Matter is made out of small things that move around, are stable (usually) and do not suddenly jump from here to there. This concept (of stuff made out of particles) seems plausible when looking at grains of sand, but less plausible when looking at water or air which seem perfectly continuous. Everything is moving: On the microscopic scale, things are never at rest and are moving around all the time (either due to thermal or quantum fluctuations). This concept runs contrary to everyday experience, where things tend to stop moving due to friction. Conservation laws: You cannot just create motion out of nothing or stop it completely without converting its energy to some other form. Energy, charge, momentum etc. are conserved under appropriate circumstances. Again, due to friction, it is hard to be accustomed to energy conservation from observing everyday life. On the other hand, one can at least see that energy is never created out of nothing. 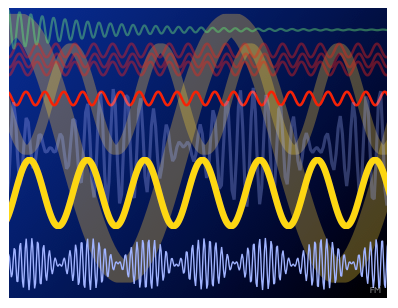 Oscillations and resonances: When things are arranged in a stable configuration, they have the tendency to oscillate around that configuration at some specific frequencies. The vibrations of a guitar string, of a molecule, or of the electron cloud in an atom are just a few of many examples. Everyday life offers examples like a pendulum clock or musical instruments, but they do not fully reveal just how crucially important this concept is on the microscopic scale. 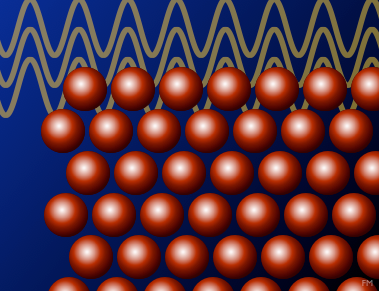 Wave fields and interference: Oscillations can propagate through space, in which case they are called waves. Water waves, matter waves, electromagnetic waves, sound waves and others are all described by similar mathematical equations. The most commonly observed everyday example are water waves, but again, waves are not nearly as prevalent in everyday life as in the microscopic world. 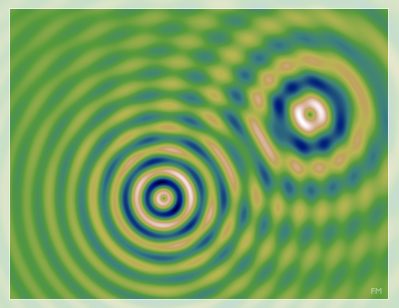 Waves show the most important phenomenon of interference whenever they overlap (as seen in the picture). Periodical structures: Atoms arrange into crystals (periodic in space), oscillations are periodic in time, wave fields can have plane waves that are periodic both in space and time. Periodical structures do exist in the macroscopic world (caterpillars, sun flowers, etc. 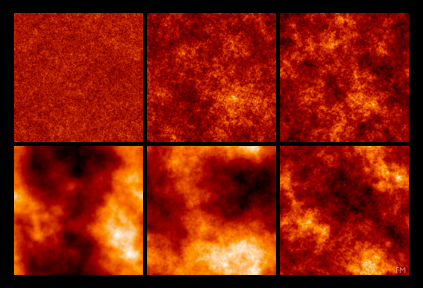 ), but most of what we observe around us is not really periodic. 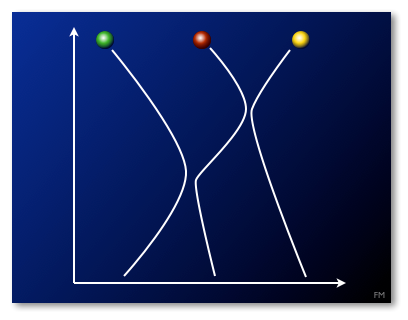 Symmetry and spontaneous symmetry breaking: When all points in space are equal or all directions are equally good, this has important consequences for the resulting motion (or the structures that form). Sometimes however, a structure may form that is not as symmetric as it could be. A ferromagnet picks a certain direction in space, which is then called spontaneous symmetry breaking. We are well used to symmetry in nature. It is harder to understand the concept of spontaneous symmetry breaking because often symmetry is broken just externally: the external forces (like gravity pointing downward) may spoil the perfect symmetry of the situation. 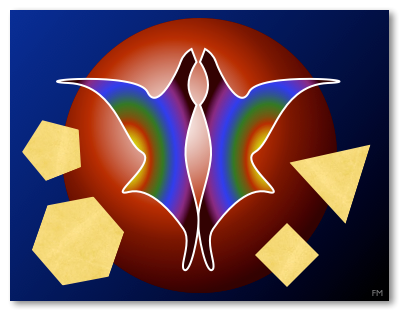 Time evolution and causality: The present state of the world determines what happens next. If we were given complete information, we could calculate what will happen in the next short time interval, and then the interval after that, and so on to infinity. In classical physics, this led to the concept of a “clockwork” universe where in principle everything could be predicted precisely if we were just given the current positions and velocities of all the particles. Nowadays we know that due to chaotic motion, this notion will fail even in classical physics unless we know everything with infinite precision. In quantum mechanics, the type of information we need and the predictions we can make are different, with only statistical predictions possible in principle. Still, mathematically the concept is always the same, and encoded into time-evolution equations (whether classical or quantum). This also means in general: causes come before effects. This concept (of causality, and time evolution depending on the present state) seems very natural given our everyday experiences. 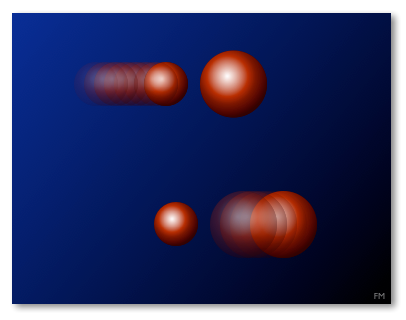 “Actio equals reactio” and “no instantaneous action at a distance”: Effects produce a counter-effect, so the particle doing the pushing will also be pushed back. 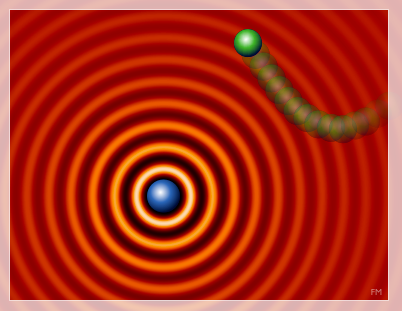 At the same time, no influence between two particles can act instantaneously. If one of the particles starts to move now, the other particle will feel an effect (or a change in effect) not immediately. Rather, the effect is felt at the very earliest after a time has passed that is needed for light to travel between the particles. 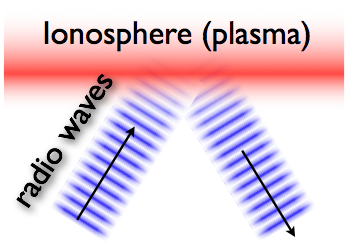 This is because forces between particles are produced not directly, but rather via wave fields, and no wave field in nature has waves traveling faster than light. However, since the speed of light is so large, in everyday life there seems to be instantaneous action at a distance (e.g. magnetic forces or gravitational forces). 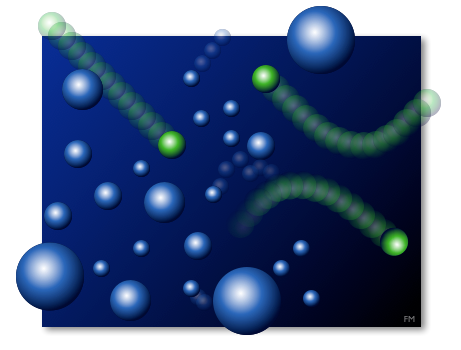 As a side-effect of forces being transmitted via wave fields, the “actio equals reactio” first of all applies to the interaction between the particles and the fields. 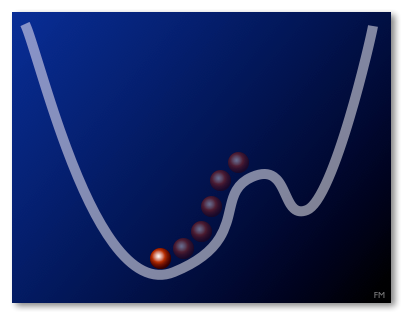 Sometimes the perturbation produced in the field by a particle does not even reach another particle, but is radiated away as a wave. Nature tends to an optimum: In many situations, structures form that minimize some value, for example the energy. Even the trajectories that particles follow, or the path of a light beam, can be understood as optimizing a certain mathematical function. The closest one comes to observing this in everyday life is when one sees all objects falling down, tending towards the minimum energy in the gravitational field. I know this selection (and the grouping of topics) is subjective. What do you think, what are the most important general concepts in our description of nature? This is a shame. A government that does things like that cannot expect to see eye to eye with the rest of the world, no matter how mighty the state has become militarily, economically and politically. It’s a shame that the Chinese people still have to endure this regime. I know quite a number of highly intelligent and well-liked Chinese scientists, and they and their compatriots definitely deserve better! Let’s all hope that they manage a peaceful transition to a real democracy sometime in the coming decades.